Perfect for adding a subtle touch of edginess to your everyday look, this bold accessory embodies Stefanie Heinrich’s modern and controversial aesthetic. This dazzling character piece is part of the Hidden Globe collection that draws inspiration from the purity of a person‘s spirit, which is embodied by the beautiful round rose quartz. 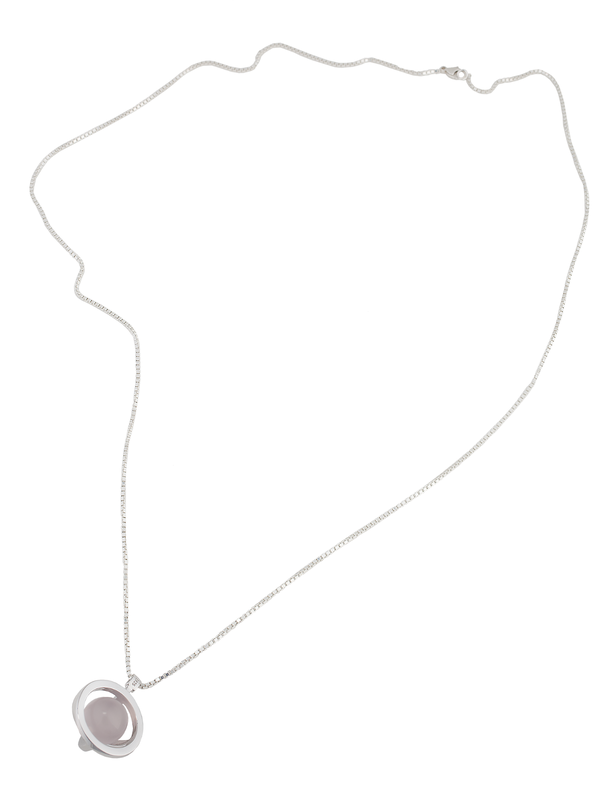 It is covered by a cage of sterling silver, giving protection and disguise. The rose quartz sits at the point of the heart chakra, from which it is the healing stone. 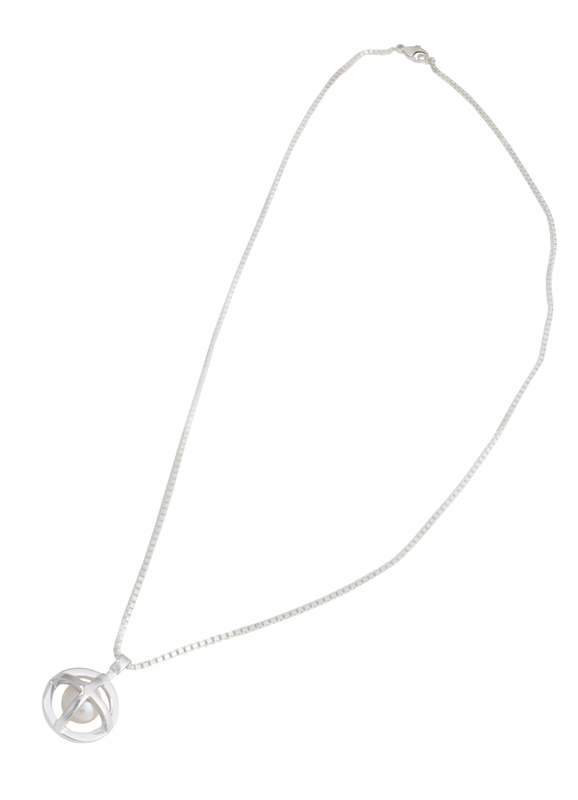 You will feel the magic of the stone while wearing the necklace. 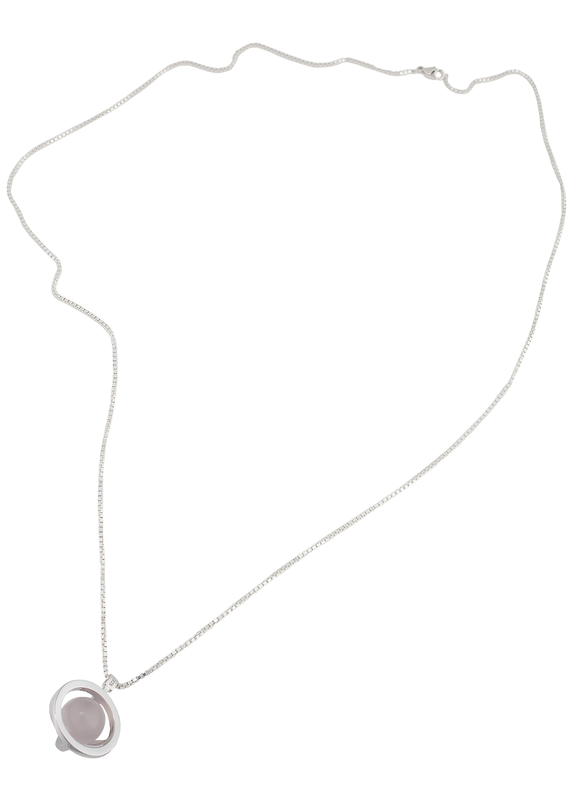 In it‘s keen oversize proportion, the necklace is the ultimate signature piece and the perfect finishing touch to day and evening looks. MATERIALS Chain and pendant: rhodanized sterling silver Stones: rose quartz MEASUREMENTS The chain has a total length of 80cm. 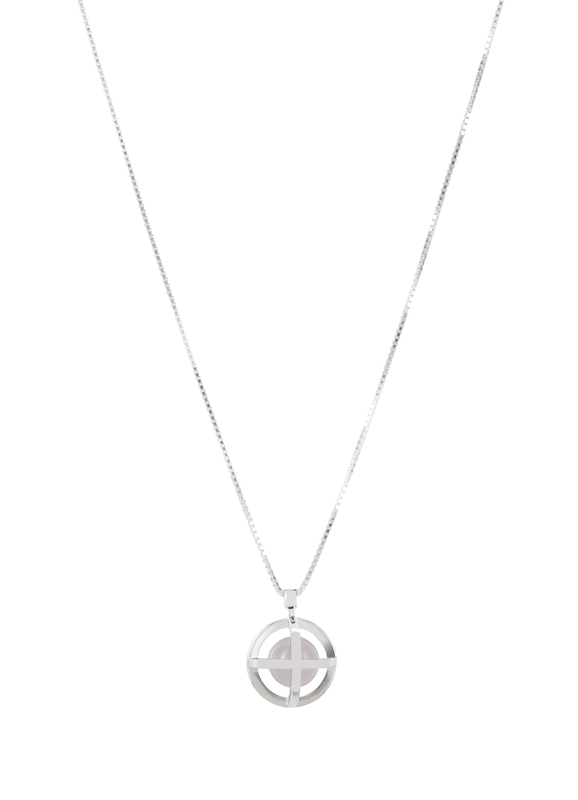 The attached Hidden Globe pendant has a diameter of 2.5cm. 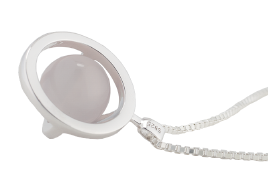 The round rose quartz has a diameter of 1.4cm. CARE The silver is rhodanized to protect it from oxidation, to keep the beautiful shine and make it more resilient against scratches. Anyhow, this delicate piece of jewelry is made of precious materials, which deserve a careful handling. Stones and silver should be protected against any kind of chemicals, including soaps. The jewelry should be stored seperately to prevent it from scratching, the best is to keep the jewelry in the original box after wearing.